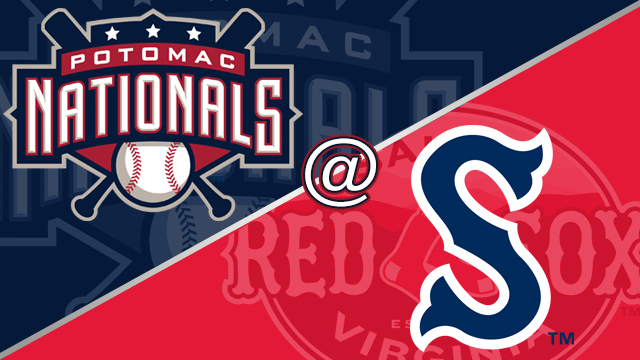 Salem, VA---Wet grounds postponed Tuesday night's doubleheader between the Potomac Nationals (26-21) and Salem Red Sox (23-25). It's the fourth straight rainout between the two teams. With all of the rainouts between the P-Nats and Red Sox, there are now four doubleheaders scheduled between the two teams over the next 2.5 weeks. The teams will play two games this Wednesday (5/30) and Thursday (5/31) at 5:30pm, as well as doubleheaders on 6/11 and 6/13, with the latter two at 5:00pm. The teams will look to get this series underway tomorrow night, as first pitch of game one of the doubleheader is set for 5:30pm. Both games are scheduled for seven innings. The Potomac broadcast will get underway at 5:15 with the "P-Nats Lead-Off Show." The broadcast can be heard on potomacnationals.com or via the TuneIn Radio App.